I'm KiwiGalaxyDev and I made the game Cribelz TD for this jam. Do you guys know Tower Defense already? If so, you know that it has mostly a drag & drop system. That is going to change! In my game you are literally the builder! You can build towers while you are walking around in your own Tower Defense World! You can see the enemies die in your chosen perspective. With three towers and two upgrades each you can make your own tactics and strategies. Sounds interesting right? If so check out this link: https://itch.io/jam/igmc2018/rate/334647. Try to survive 25 rounds against four unique enemies! 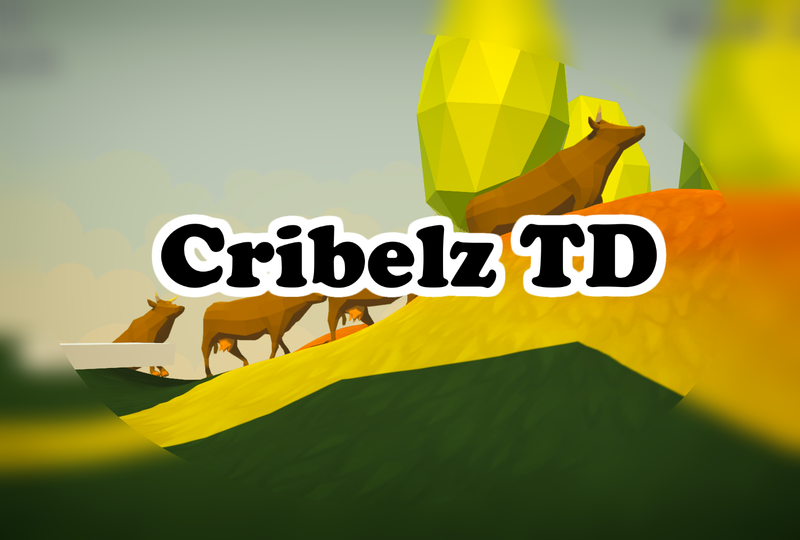 For more information and controls check out this link: https://kiwigalaxydev.itch.io/cribelz-td. Thank you for reading about my game. If you like it, let me know it with a positive review and vote on my game! I really like to see your projects to and let's have a fair competition. Keep programming guys! Good Luck!